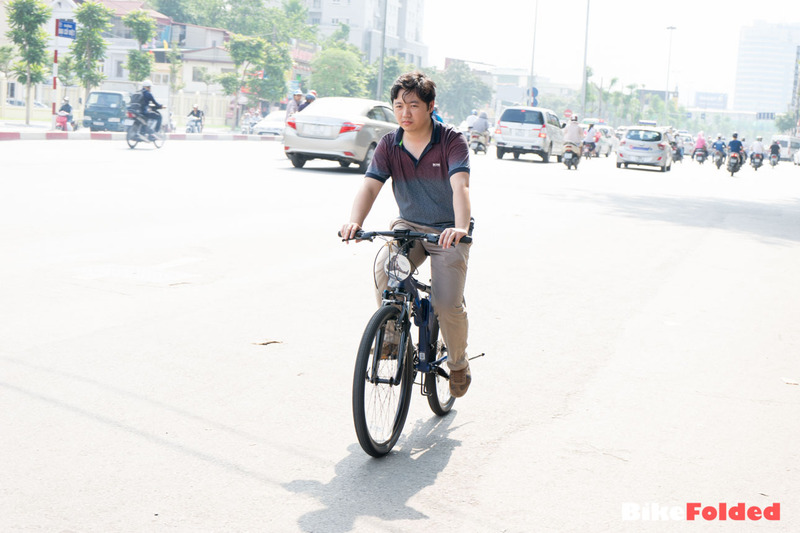 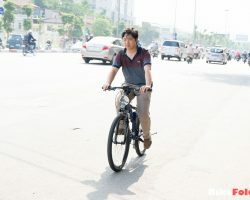 Many people, especially heavy and tall ones, don’t want to use folding bikes because of the small wheels. 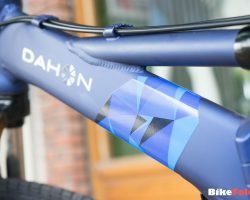 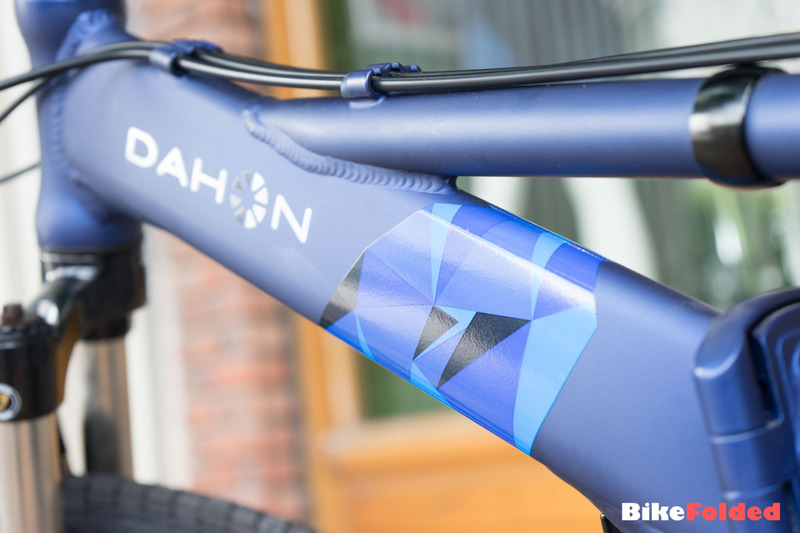 However, Dahon actually produces some bigger folders that can meet their requirements. 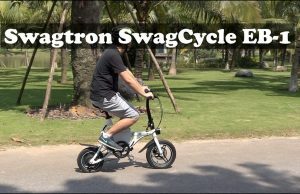 I tested the Dahon Jack D7 last year and it is not a bad choice. 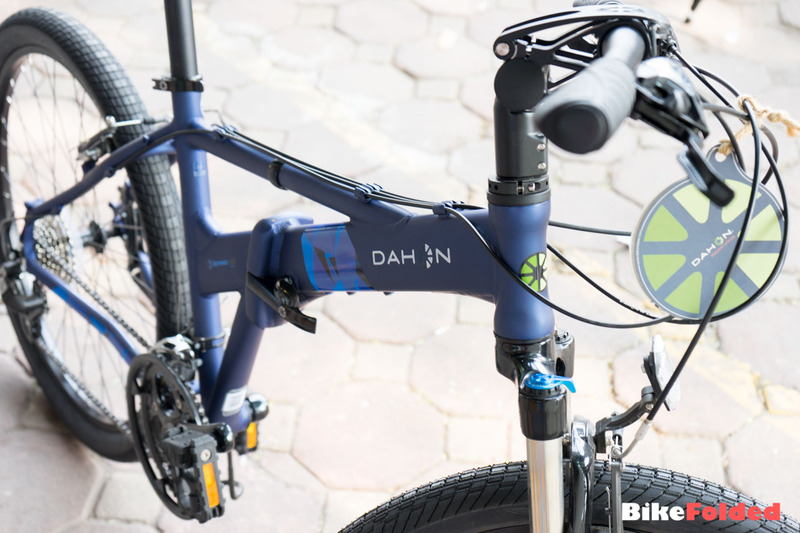 The Dahon Espresso D24 looks very similar but it offers some more advanced features. 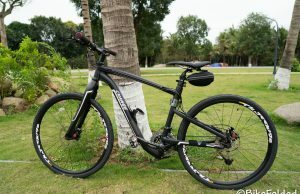 My first impression with the Dahon Espresso is very good. 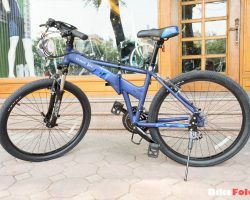 It has a better build quality than the Dahon Jack D7, the frame feels a lot sturdier because it uses a top tube and down tube now. 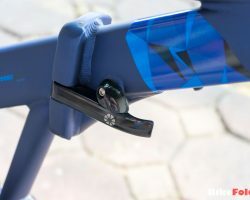 Another huge advantage over the Jack is that folding and unfolding the Espresso doesn’t require any tool, thanks to the Flatpak design on the handlebar. 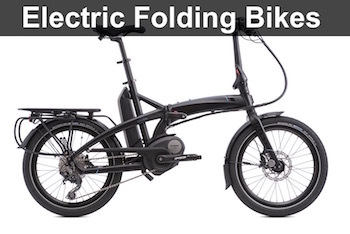 You can easily fold the bike with your own hands, just like smaller folding bikes. 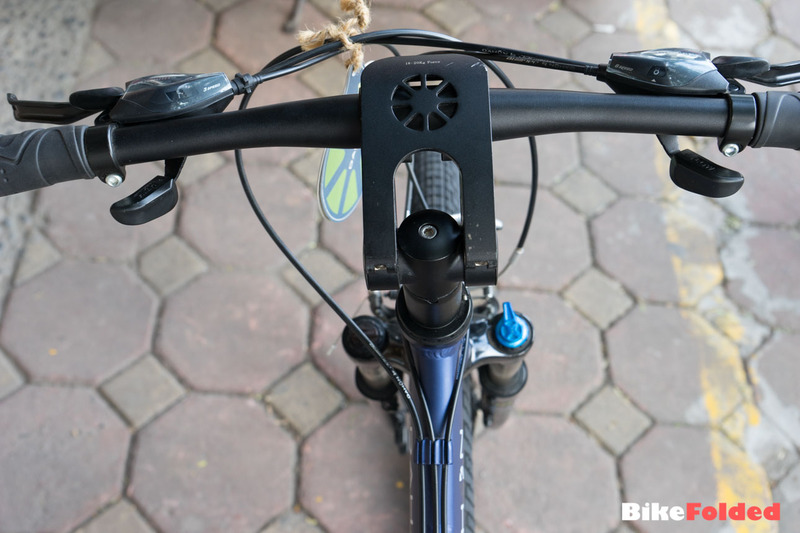 The only difference is that you need to rotate the handlebar 90 degrees to the right side. 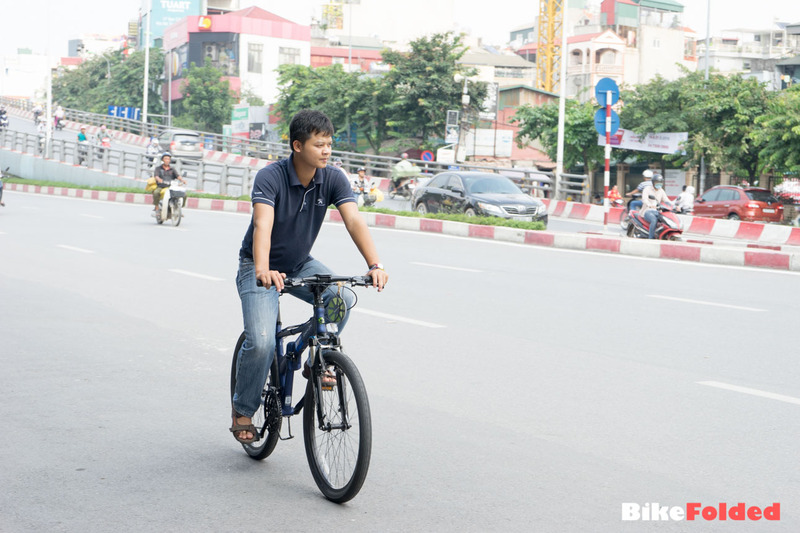 After folding the bike flat, you can easily put it in your car trunk. 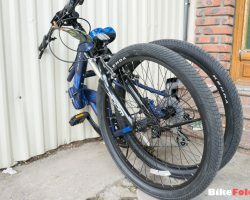 Unfortunately, there is still no way to secure the 2 wheels and the bike can’t stand on its own. 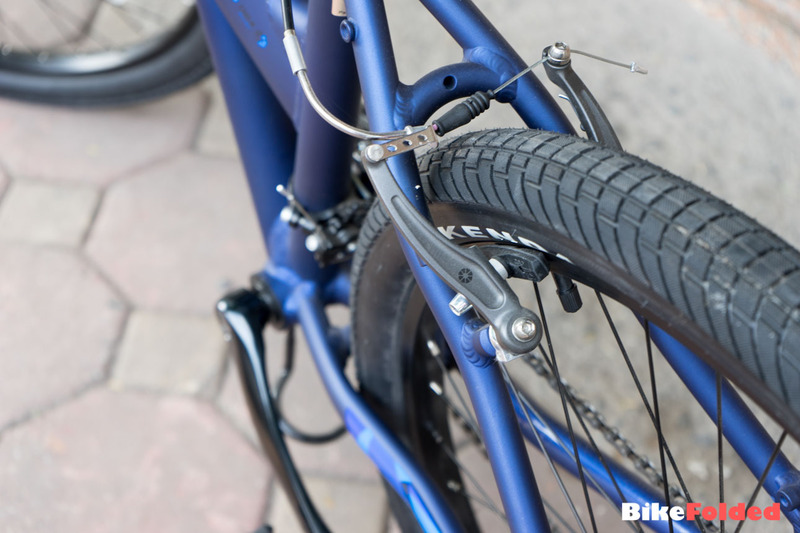 Therefore, you will need to lean it against the wall or something to avoid damaging your bike. 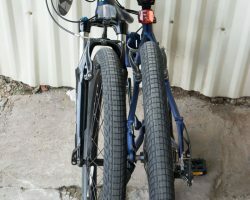 In terms of riding experience, I still can feel the rolling resistance when riding on the streets because of the big fat tires. 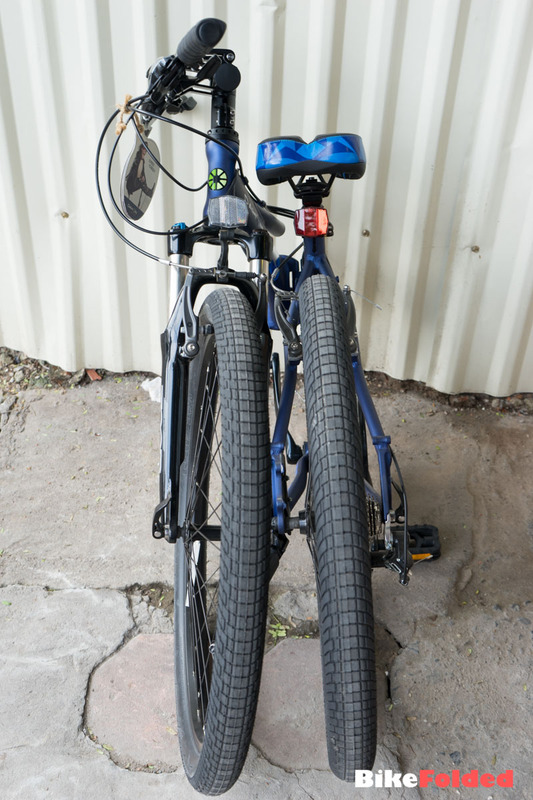 However, there is an important upgrade here. 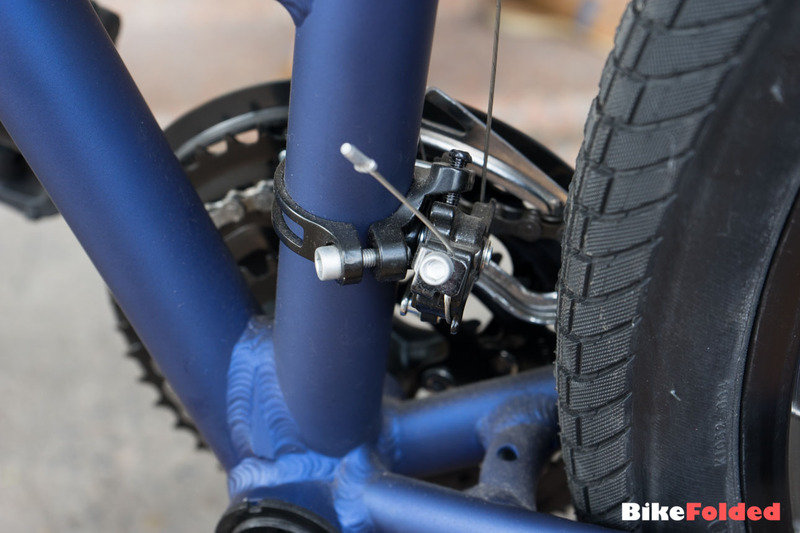 The Espresso sports the front suspension forks to insulate rider and the bike from the roughness of the road. 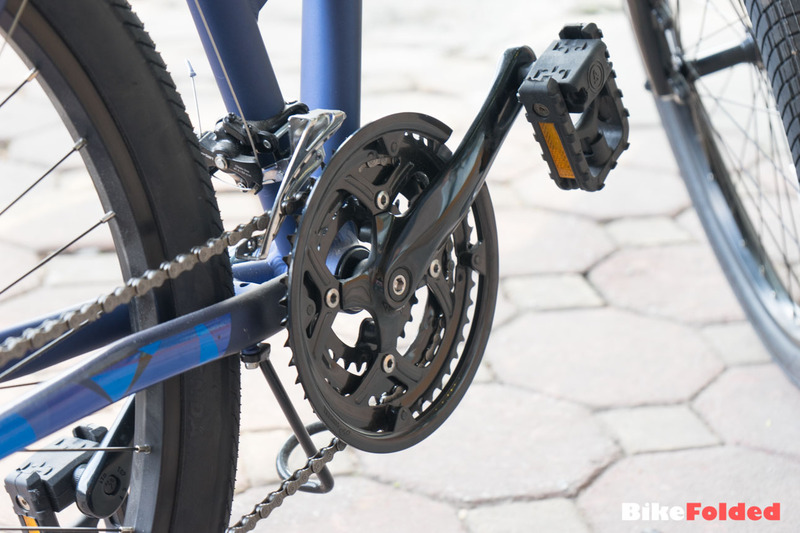 Therefore, you totally can ride the bike off road or on uneven roads without hurting your bottom. 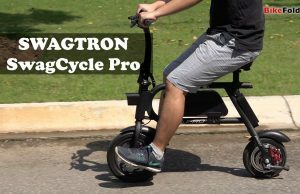 This is among the most comfortable folding bikes I’ve ever ridden. 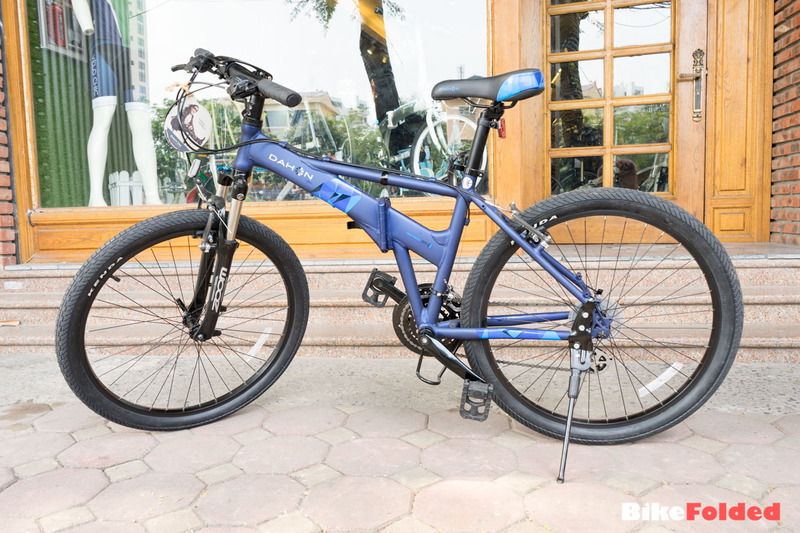 This is not a fast bike but you won’t have any problem climbing hills with the 24-speed drivetrain. 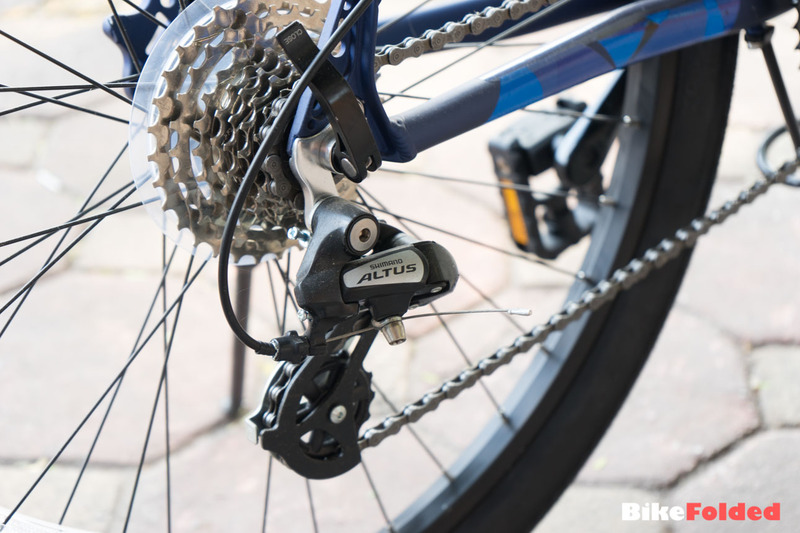 The wide range of gears gives you a lot of choices when dealing with different terrains and inclines. 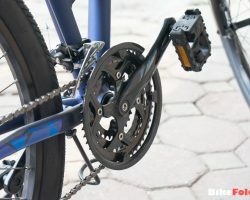 I also love that shifting gear is very smooth and easy. 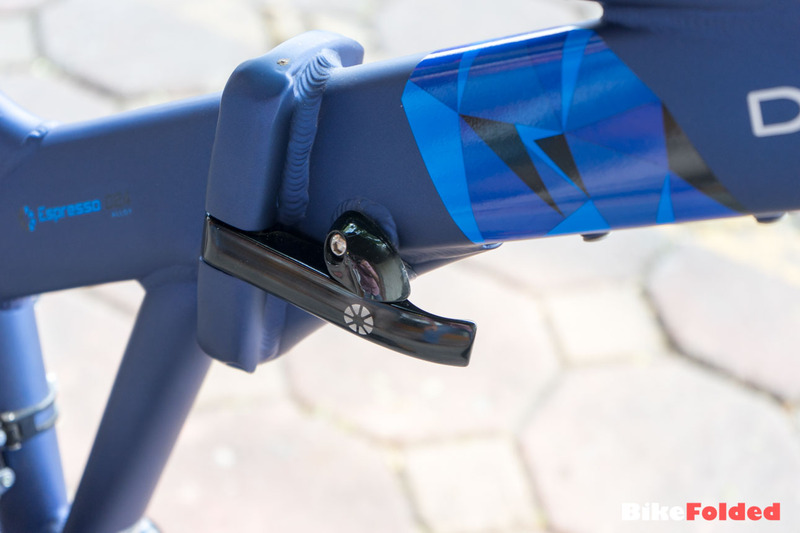 Last but not least, the Espresso includes a hidden pump in the seatpost. 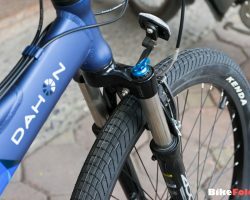 This is really a useful feature because I no longer have to bring the hand pump. 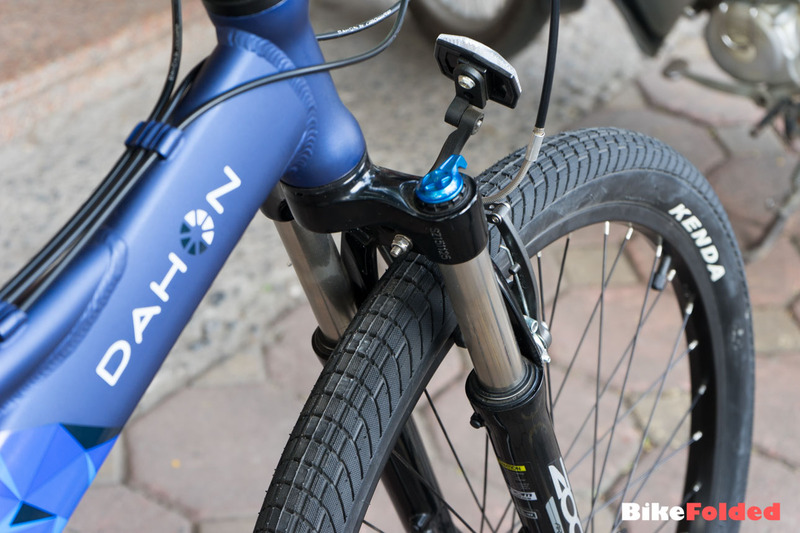 Using the seatpost pump is just more convenient and effortless. 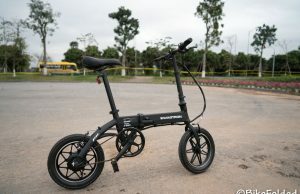 In conclusion, the Dahon Espresso D24 is an ideal full-size folding bike. 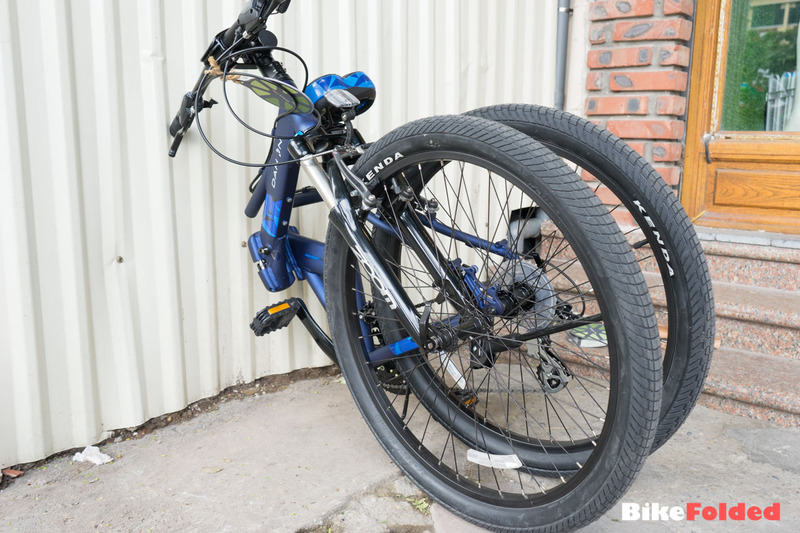 It has a great build quality, simple folding process, yet it doesn’t come with an expensive price tag. 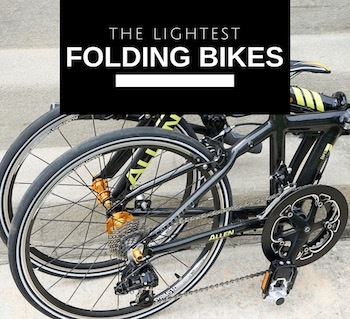 We at BikeFolded recommend the bike. 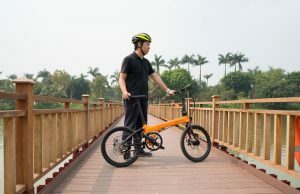 You won't be able to find such a well-built full-size folding bike at this price. 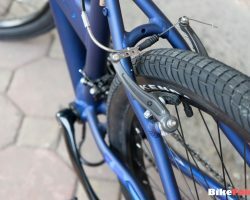 I did modify to full size road racing wheels. 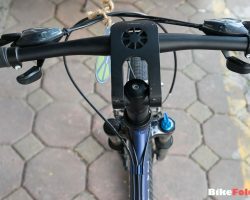 Bow it is fast. 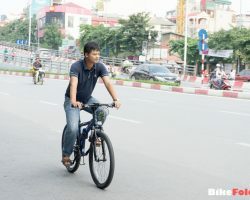 A cruise speed of 30k/h is doable now. 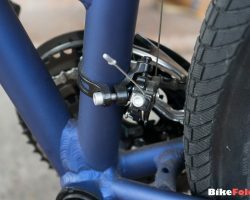 Standing stability when folded is bad. 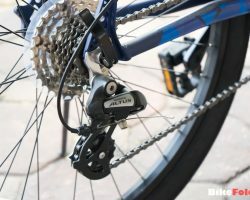 Alsways need something to leannagainst and in trains you need to tie it to something. 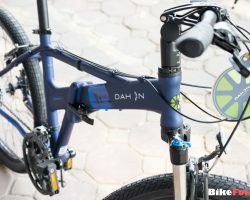 Didn’t Dahon have a similar 26″ wheelfolder a while back, a 21 speed without the folding bars, that looked very similar to the Espresso 20?